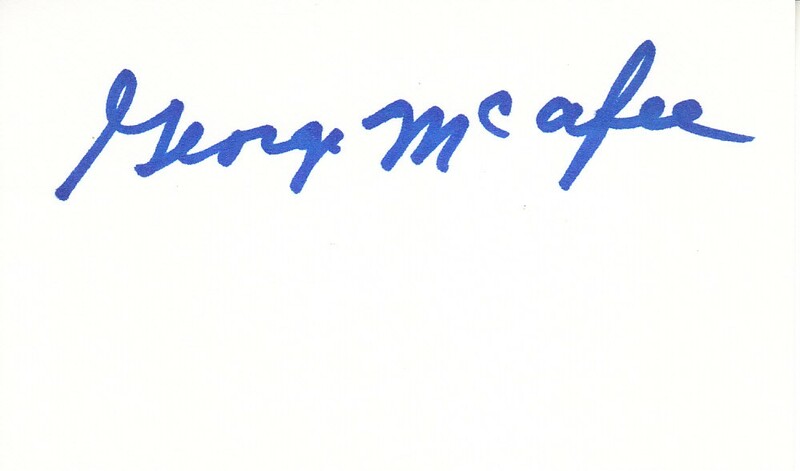 3x5 index card autographed boldly in blue Sharpie by the late College and Pro Football Hall of Fame halfback George McAfee. With certificate of authenticity from AutographsForSale.com. ONLY ONE AVAILABLE FOR SALE.